My name is Anne Marie Flowers and I am taking on the role of Chairperson of the Parent’s Association for this year. For those who are new to the school or who may not know me, I have a daughter, Rachel, in Ms O’Connor’s Junior Infant class and twin boys, Owen and Kieran in 2nd Class. Last year the PA raised almost €25, 000 euro for the benefit of our children. Holy Trinity is fairly unique in the area as it is one of the only schools where there is no voluntary contribution. This is entirely down to the success of the Parents Association in fundraising adequately each year. For this reason, it is essential that all the parents actively support the fundraising initiatives throughout the year. It enables people to contribute what they can, when they can on an ongoing basis, rather than having to come up with a large voluntary contribution. Our major fundraising focus this year is on providing funding for playground markings for the yard. This will make the area more attractive and child friendly as well as providing many learning opportunities and games for the children to enjoy with their friends during break-times. The Christmas Fair last year raised approximately €12,000. Everyone is invited to come along to the Christmas Fair on the afternoon of the first Sunday in December. It is a hectic, fun filled atmosphere with stalls, a big wheel, Santa’s grotto, and there is a hot and cold Food court in the hall. The children get very excited in the lead up to the fair and it is a lovely start to the festive season. The PA requires a massive team effort from all the parents in the school and as such most of the parents, who may not be directly involved with the committee, are always willing to get stuck in when required. We understand that everyone has very busy lives with young children and work and family commitments, but please make the effort to become involved in even just one activity at some stage of the year. 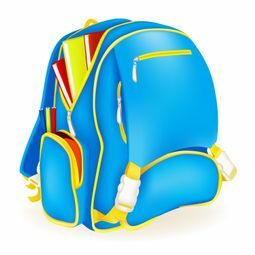 All the PA activities need lots of parents to help make them happen, so we would be delighted if you can help out in any way as a once off or continuing basis. ‘Many hands make light work’, and it is a great way of meeting other parents, especially since the school has now become so large. Please feel free to contact us at holytrinityns@gmail.com. We need your help! Providing teas, coffees and refreshments at school events. This shop is run on donations of uniform clothing – the clothes are in excellent condition and the prices are next to none! All proceeds are given to the school. Candida Trigueiros and the other parents, who help run the uniform shop, not only gather all the donations, but also wash and iron all the uniforms to ensure they are in beautiful, next to new condition. 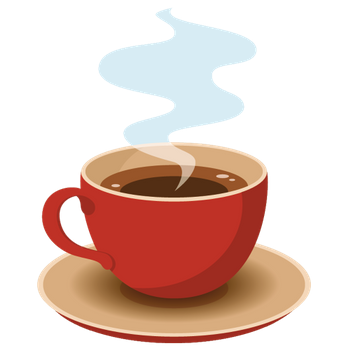 Liza McCarthy, with help from other parent volunteers, runs this monthly coffee morning on the first Thursday of the month from 8.50. All parents are welcome to drop in and have a chat with other parents over a peaceful cuppa and scone after the chaos of getting the children out of the house for morning drop off. This is a free event and babies and toddlers are welcome! Throughout the year we have coin collections where the children are asked to bring in some loose coins which they tip into the class bucket. The coins are counted, bagged and banked and last year raised just under €2,000. On three occasions during the year, we organise a clothing collection. Each family is asked to fill a bag with second-hand clothing and soft toys. These are then collected in school and the Bag2School scheme pays per kilo of clothing collected. An additional 10% of the total is also contributed to the LauraLynn Hopice. The School Book Fair usually takes place in early March and coincides with National Book Week. This year Ciara Lambie will be coordinating the Book Fair. Book displays will be set up in the hall and parents are invited to visit the Book Fair with their children, before or after school or on one evening during Book Week. All books are for sale and all profits are credited directly to the school to purchase books for the school library. Classes will have lots of opportunities to explore the Book Fair with their teachers and many class activities during the week revolve around the Book Fair.